You may remember the Tour de France of 2013. It was the 100th Tour and the one Chris Froome snagged. I’m sure you recall. 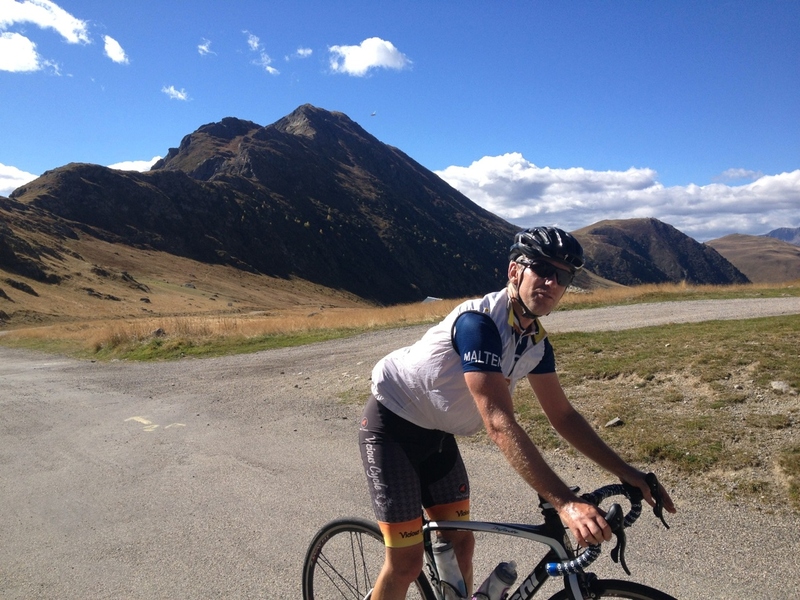 Anyway, that Tour also had a pretty unique stage that started in Gap and shot up north to climb Alpe d’Huez – twice. 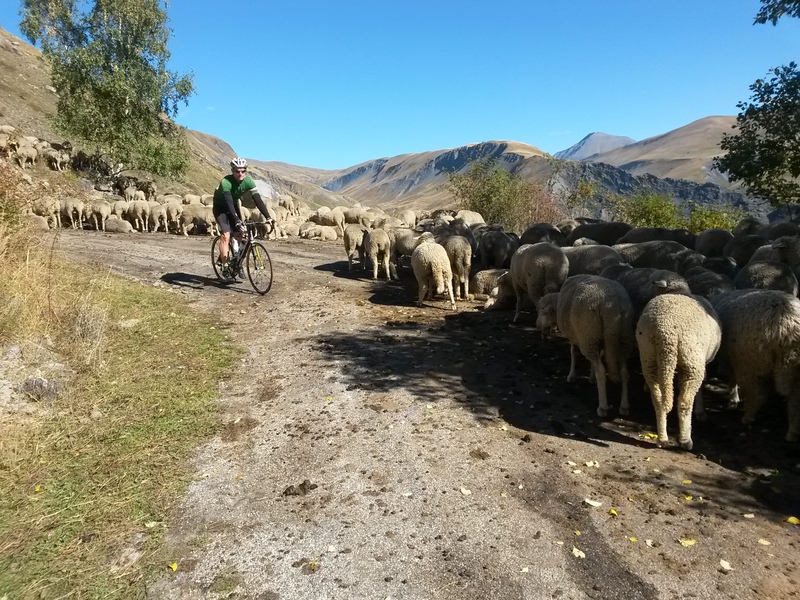 After the first trip up – in order to make a loop of it – the peloton turned right and headed towards a lonely col called the Col de Sarenne. And that’s just what John and I did the other day. 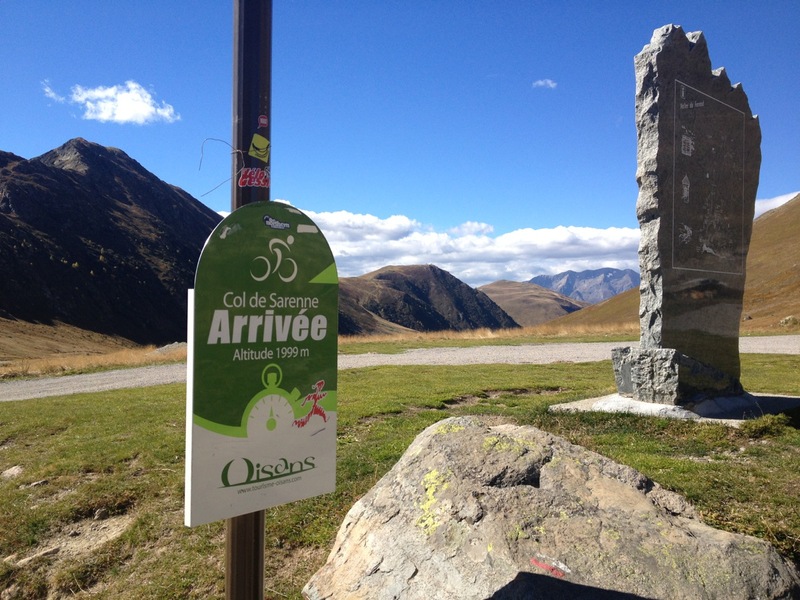 The sign you see is done by the Bike Oisans, which I assume is at least government subsidized. They have a great website (linked to in the last sentence) with all the climbs in the area outlined. This is me, starting to feel my legs getting heavy, but more than happy to have this whole mountain to ourselves. It’s a stunning road. We had two sheep buchons, plus a close encounter with some deer. And then we stopped here, wishing we’d had a picnic to eat at that table, but also wondering why that person built his barn so close to that giant boulder. The top of the left wall is actually ‘bent’ to the shape of the rock. 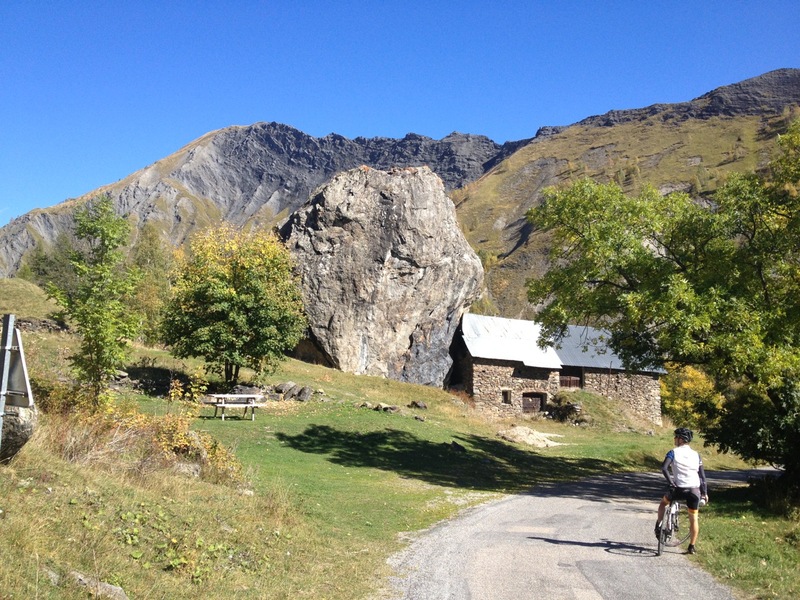 It turns out that we were now riding through the Vallée du Ferrand, which is part of the Ecrins National Park. It was a really beautiful area and, after we got past those sheep, a treat of a descent. Stunning! A fantastic looking ride – in great weather. Lovely on the Scottish roads this morning but wrapped up as only 3 degrees. Looks fantastic Gerry. You’re finding some real jewels out there. 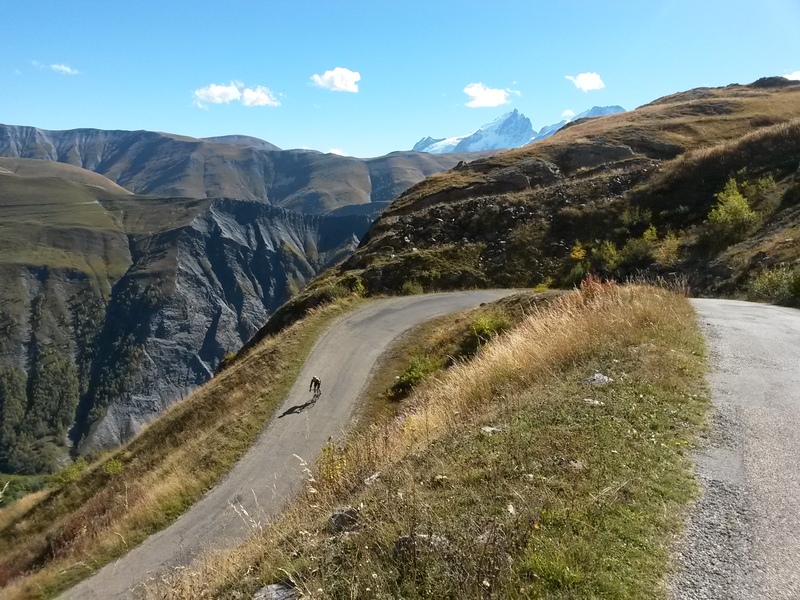 I loved this descent last year, they were still tarmacing the bends for the Tour to come down the next day. It was so hot it was great to cool down, blasting through the bends. Yippee! !